Jennifer Barnes began her solo career with oratorio. She has built an impressive repertoire in this genre, ranging from popular works such as Handel's Messiah and Bach's St Matthew Passion to David Fanshawe’s African Sanctus. She has performed as soloist with the Sydney Philharmonia, Newcastle University Choir, Newcastle City Choir and Gosford Philharmonia. In recital, Jennifer enjoys singing lieder, melodie, Spanish, American and Australian songs. Composers in her repertoire include Schubert, Schumann, Berlioz, Faure, Debussy, Duparc, Berg, de Falla, Rachmaninov, Barber, Rorem and Butterley. 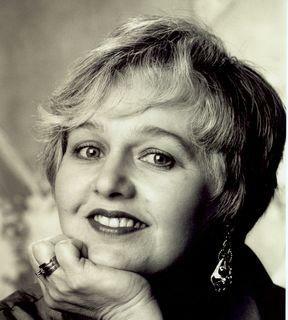 Jennifer was a finalist in the 1999 City of Melbourne Song Recital Award, winning the Best Performance of an Australian Song and equal first in the Best Musical Partnership. Jennifer joined with pianist Francis Greep to perform on ABC Classic FM Sunday Live. In 1990, after winning the Doris Smith Scholarship, Jennifer studied with Josephine Veasey in London, where she developed her interest in opera. Opera performances include principal roles with Opera Hunter, Opera Queensland, Sydney Metropolitan Opera, Sound Construction Company, Sydney Festival and Opera Australia. In 1995, Jennifer won a CONDA for the best performance by a professional actress for her Opera Hunter season as Cio-Cio San in Puccini’s Madama Butterfly. She has since performed the role for Opera Queensland and Opera Australia. Opera Australia productions also include Il Trittico (Alms Sister), Peter Grimes (Ellen Orford), Tales of Hoffmann (Antonia), Carmen (Frasquita) and The Turn of the Screw (Governess). A major career highlight for Jennifer was the role of the Valkyrie Grimgerde in the State Opera of South Australia production of Wagner’s Ring cycle in 2004. Jennifer’s performance in the 2004 production of the Ring cycle is available on the CD Die Walküre, which is part of the highly acclaimed Melba Recordings CD set of this brilliant production. Jennifer has been awarded a PhD for her research into the operatic soprano voice. She has published papers in the Journal of the Acoustical Society of America and Acoustics Australia. Jennifer presents workshops and conducts masterclasses that focus on her research plus performance anxiety and other performance skills.In 2008, Jennifer directed and conducted Leonard Bernstein’s Trouble in Tahiti for Opera Hunter, in addition to performing the role of Cleopatra in their production of Handel’s Julius Caesar.